Kachel, David Henry; Taken on strength as a Gunner in 15th Field Artillery Regiment RCA, Gunner in 1971, deceased 6 Feb 2007. 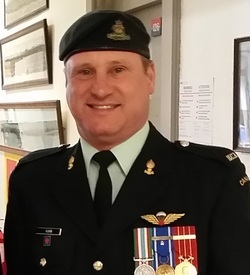 Kadey, Patrick James; Taken on strength as a Gunner in 15th Field Artillery Regiment RCA on 10 Nov 1983, qualified General Military Training on 26 May 1984, qualified TQ1 Basic Artilleryman on 4 Aug 1984, promoted Bombardier on 1 Feb 1985, qualified TQ1 Motor Support Equipment Operator on 6 Jan 1985, component transfer to Regular Force on 10 Apr 1984. Kaighin; Lance Bombardier in 58th Battery 15th Coast Brigade RCA in 1941. 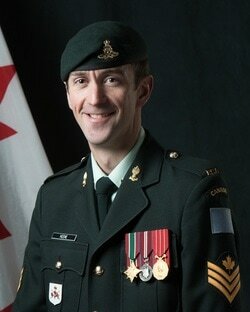 Kaighin, RW; Sergeant listed on the Warrant Officers and Sergeant’s Mess gong. Kaily, Karamjit Singh; Taken on strength as a Gunner in 15th Field Artillery Regiment RCA on 2 Jun 1997, qualified QL2 General Military Training on 3 Aug 1987, qualified QL3 Basic Artilleryman on 22 Aug 1987, released 22 Nov 1997. Kalam, N; Gunner in 2014. Kalashnikoff, Ulia; Taken on strength 15th Field Artillery Regiment RCA on 3 Jul 1978, released 22 Aug 1978. Kalman, Eric George; Taken on strength as a Musician in 15th Field Artillery Regiment RCA on 13 Jul 1981, qualified General Military Training on 16 Aug 1981, qualified TQ1 Musician on 7 Sep 1981, qualified TQ2 Musician on 2 Aug 1982, promoted Bombardier on 13 Jul 1982, qualified TQ3 Musician (Clarinet) on 6 Jun 1983, qualified TQ1 Musician (Alto Sax) on 22 Jun 1984, promoted Master Bombardier on 1 Mar 1985, transfer to Supplementary List on 9 Jan 1987. Kalmoni, Abdallah Saeed; Taken on Strength as a Gunner in 15th Field Artillery Regiment RCA on 3 Feb 1990, qualified General Military Training on 23 Jul 1991, qualified QL3 Basic Artilleryman on 9 Aug 1991, qualified QL4 Communications on 7 Aug 1992, released on 31 Jan 1994. Kalmoni, Salah Aldean; Taken on strength as a Gunner in 15th Field Artillery Regiment RCA on 13 Jun 1987, qualified General Military Training on 13 Aug 1987, qualified TQ1 Basic Artilleryman on 11 Feb 1988, QL4 qualified Infantry Communications on 2 Aug 1988, qualified Driver Non-Trade on 16 Feb 1989, promoted Bombardier on 13 Jun 1989, qualified Junior leaders Course/Combat Leaders Course on 15 Jun 1990, qualified QL4 Artillery Communications on 7 May 1992, qualified QL4 Artillery Recce and Command Post Technician on 17 Jul 1992, promoted Master Bombardier on 20 Feb 1993, qualified QL 6a Detachment Commander on 29 Jul 1994, released on 7 Sep 1995. 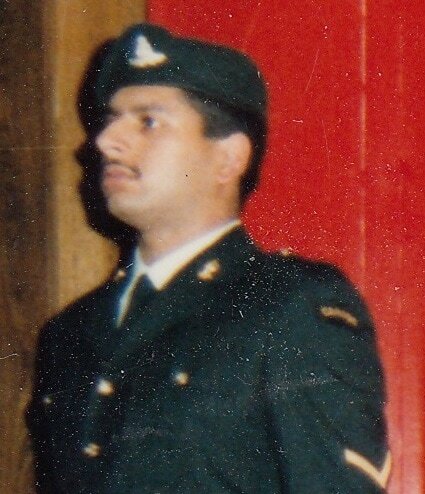 ​Kalsi, Malkit Singh; Taken on strength as a Gunner in 15th Field Artillery Regiment RCA on 10 APR 1986, qualified General Military Training on 9 Aug 1986, qualified TQ2 Artillery Communicator on 16 Nov 1986, qualified Non Trade Driver on 6 Dec 1986, qualified TQ1 Basic Artilleryman on 25 Jan 1987, promoted Bombardier on 10 Apr 1988, transferred to Supplementary Ready Reserve on 30 Nov 1992. Kamann, Kenneth Allan; Taken on strength 15th Field Regiment RCA on 9 May 1957. Kaounas, Evangelos; Taken on strength as a Gunner in 15th Field Artillery Regiment RCA on 28 Jan 1988, qualified General Military Training on 14 Apr 1988, released on 23 Oct 1988. Kaounas, Konstadinos; Taken on Strength as a Gunner in 31st Battery 15th Field Artillery Regiment RCA on 15 Aug 1986, released on 23 Jun 1988. 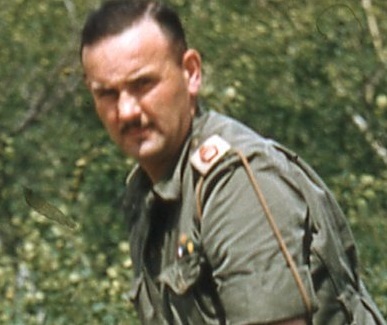 Kappel, Manfred Klaus; Taken on strength 15th Field Regiment RCA on 18 Dec 1957. Karimi, Mohamed-Mehdi; Taken on strength as a Gunner in 15th Field Artillery Regiment RCA on 2 Aug 2001. 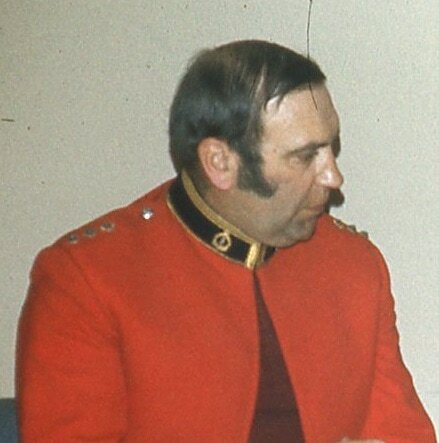 Karmel, B; Private in the Regimental Band in 1969. 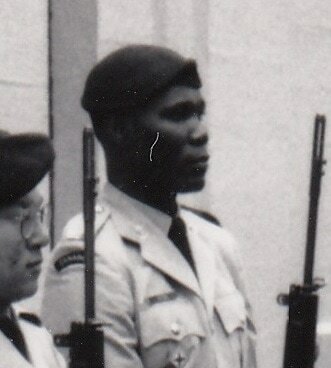 Kasper, Keith E; Bombardier in 1965, Sergeant from 1969 to 1971. Kavanaugh, AE; Private in 85 Battery in 1969. 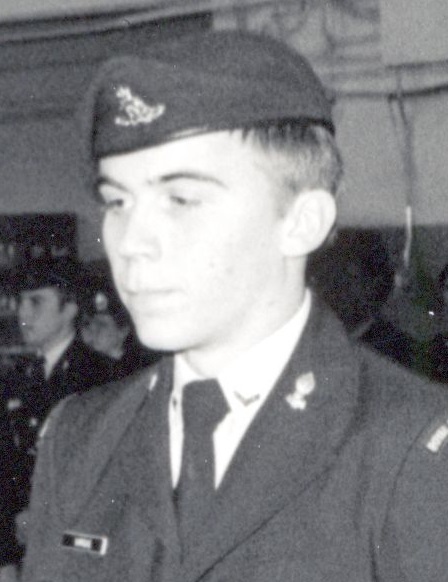 Kavanaugh, JR; Private in 85 Battery in 1969. 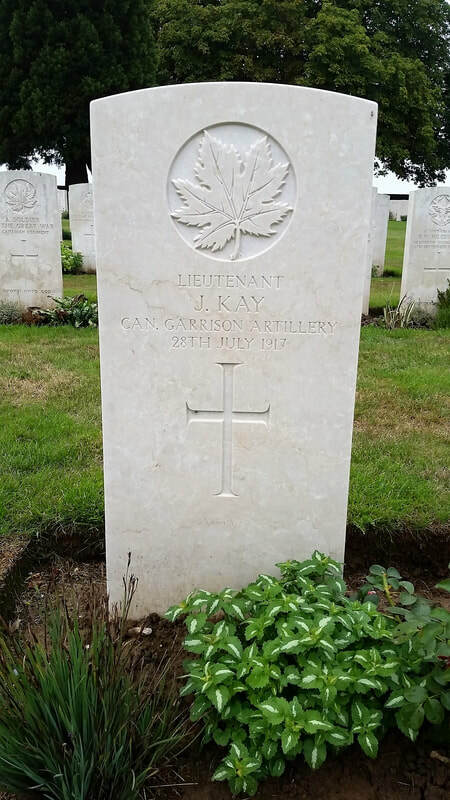 Kay, James; Seven years in 5th Royal Highlanders, attested Canadian Over-Seas Expeditionary Force 22 Jul 1915, arrived England 30 Nov 1915 in rank of Sergeant, confirmed rank of Sergeant 7 Jul 1916, taken on strength 165th Siege Battery Canadian Garrison Artillery 26 Jul 1916, to be provisional Sergeant Major 27 Jul 1916, confirmed in rank of Battery Sergeant Major 20 Sep 1916, embarked for France 21 Sep 1916, 165th Siege Battery now 5th Siege Battery 11 Jan 1917, to be provisional Lieutenant 20 May 1917, killed in action 28 Jul 1917, buried at the Cabaret-Rouge British Cemetery, Souchez Pas de Calais, France. Kazmark, Gilen Edmund Alfred; Taken on strength 15th Field Artillery Regiment RCA on 17 Jun 1978, released 24 Aug 1978. Keeling, Frederick Temple; Taken on strength as a Gunner with 85th Battery 15th (Vancouver) Coast Regiment RCA NPAM on 2 Aug 1940, assigned regimental number V10428, to be Acting Sergeant 15 Sep 1940, assigned new regimental number K417502, granted commission in the rank of Lieutenant (P.M.) in 1941, posted to Headquarters 15th (Vancouver) Coast Brigade RCA NPAM 11 Jan 1941, appointed Paymaster. Keen, John Patrick; Taken on strength British Columbia Light Horse in 1933, BC Light Horse renamed BC Hussars, transferred to 15th Field Brigade Canadian Artillery 24 Feb 1934, mobilized with 15th (Vancouver) Coast Brigade RCA, OC Narrows North, Yorke Island, deployed United Kingdom 1941, repatriated to Canada, retired 1954. Keen, Mark Bradley Edward; Taken on strength with 15th Field Artillery Regiment RCA on 28 Jan 1978, transferred to G Battery, 3rd Regiment Royal Canadian Horse Artillery on 15 April 1980, enroled in 15th Field Artillery Regiment RCA on 26 Sep 1985, qualified General Military Training, TQ 1,2,3, Artilleryman, Driver Tracked, Basic Winter Warfare, released on 27 Nov 1985. ​Keen, Robert Nicholson; ​Taken on strength British Columbia Light Horse in 1933, BC Light Horse renamed BC Hussars, transferred to 15th Field Brigade Canadian Artillery 24 Feb 1934, seconded to Seaforth Highlanders of Canada in Oct 1939, wounded at Ortona, repatriated to Canada 1945, transferred to Supplementary Reserve in 1948, attached FAP from Supplementary Reserve (RCIC) as Major 15th Field Regiment RCA on 9 Oct 1952, ceases attachment on 12 Feb 1958, transferred to Rocky Mountain Rangers, deceased 10 Jul 2010. Keene, Dennis Henry; ​Taken on strength 15th Field Regiment RCA with former service Royal Artillery on 27 Feb 1958, promoted substantive Bombardier on 27 Feb 1958, promoted Acting Sergeant on 1 Sep 1958. ​Keene, Kenneth Stewart; Taken on strength as a Gunner in 15th Field Artillery Regiment RCA on 2 May 2002, qualified QL3 Artillery on 30 Aug 2002, qualified Artillery Communications on 16 Mar 2003, promoted Bombardier in 2004, awarded Most Efficient Bombardier of the Year 2005, promoted Master Bombardier 29 Feb 2012, promoted Sergeant in 2014. Keenleyside, Hugh Llewellyn; 68th Battery Canadian Field Artillery Gunner May 1918, Bombardier, 2nd Canadian Tank Battalion Sergeant Sept 1918, England Oct 1918, Sergeant-Major, Nov 1918, Canada Nov 1918, Discharged Jan 1919. Keeping, Ewart Allan; ​Taken on strength with the 82nd Regiment, qualified Lieutenant at School of Infantry on 28 Feb 1916, taken on strength with the Prince Edward Island Heavy Brigade Canadian Garrison Artillery, taken on strength as a Gunner with the No. 5 Siege Battery Canadian Garrison Artillery on 5 Aug 1916, embarked on the S.S. Southland on 26th Sep 1916, unit renamed 8th Siege Battery Canadian Garrison Artillery on 31 Mar 1917, landed in France on 31 Mar 1917, absorbed into 3 Brigade Canadian Garrison Artillery on 3 Apr 1918, proceeded to England on 28 Mar 1919, appointed Acting Sergeant on 7 Sep 1918, transferred to Royal Air Force as Flight Cadet on 5 Oct 1918, deceased 11 Nov 1983, buried at Murray Harbor South Cemetery PEI. Keith, Sylvanus John; Attested Canadian Overseas Expeditionary Force 12 Oct 1915, regimental #301920, Gunner 39th Battery 10th Brigade Canadian Field Artillery, taken on strength Reserve Brigade Canadian Field Artillery 29 Dec 1915, transferred to 5th Brigade Canadian Field Artillery, landed in France 19 Jan 1916, admitted to hospital otitis media 9 May 1916, rejoined unit 12 May 1916, attached to HQ Corps Signals for Visual Signals course 5 Dec 1916, rejoined unit 16 Dec 1916, admitted to hospital chronic otitis media 24 May 1917, rejoined unit 1 Jun 1917, 1st Army Rest Camp 4 Jul 1917, rejoined unit 18 Jul 1917, proceeded on leave 1 Aug 1917, rejoined unit 9 Aug 1917, wounded buried by shell 1 Nov 1917, invalided and taken on strength Canadian Artillery Regimental Depot 8 Nov 1917, attached to 2nd CCD 24 Dec 1917, ceases attachment 5 Jan 1918, taken on strength Reserve Brigade Canadian Field Artillery 3 May 1918, taken on strength composite Brigade Canadian Reserve Artillery 23 May 1918, taken on strength 68th Battery 16th Brigade Canadian Field Artillery North Russia Expeditionary Force 25 May 1918, proceeded overseas 20 Sep 1918, arrived Archangel 1 Oct 1918, embarked for the United Kingdom 11 Jun 1919, to Canada 5 Jul 1919, discharged 18 Jul 1919, deceased 30 Apr 1931, buried Mt Auburn Cemetery Rimbey AB. Kellahan, Darcy Vincent; Taken on strength 15th Field Regiment RCA on 27 Nov 1958. 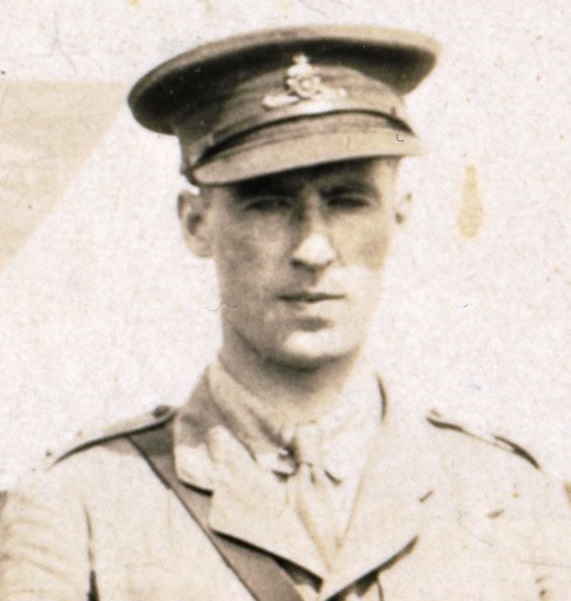 Kelly, Clifford Darton; Drafted 18th draft 68th Overseas Depot Battery Canadian Field Artillery Gunner #2557330 29 Nov 1917, appointed Acting Bombardier 1 Mar 1918, arrived in England 28 Apr 1918, reverts to Gunner on arrival 28 Apr 1918, proceeds overseas France 29 Oct 1918, taken on strength 19th Battery 4th Brigade Canadian Field Artillery 27 Dec 1918, posted Canadian Artillery Regimental Depot 19 Mar 1919, attached HQSS Ripon 28 Mar 1919, embarked for Canada 16 Aug 1919, discharged 30 Aug 1919, emigrated to USA 1929, bacteriologist New York 1930, deceased 24 Feb 1970 Edmonton AB. Kelly, John Frederick; Taken on strength as a Gunner with 58th Battery 15th (Vancouver) Coast Regiment RCA NPAM on 7 Aug 1940, assigned regimental number V9961, appointed Acting Bombardier, assigned new regimental number K416518. Kelly, Terrence Lee; Taken on strength as a Gunner 15th Field Artillery Regiment RCA on 23 Oct 1975, released 27 Jan 1976. Kelly, William; Taken on strength Royal Irish Rifles 8 years, attested Canadian Overseas Expeditionary Force 12 Jun 1915, regimental #183, I Section 2nd Division Ammunition Column, embarked Canada 13 Jun 1915, landed England 24 Jun 1915, embarked for France 16 Sep 1915, 4 days Field Punishment No2 drunkenness conduct prejudice to the good order and discipline 1 Jan 1916, attached to 6th Brigade Canadian Field Artillery 25 May 1916, granted 10 days leave 7 Feb 1917, returned from leave 26 Feb 1917, admitted 22 General Hospital 30 Mar 1917, discharged 5 Jun 1917, taken on strength 6th Brigade Canadian Field Artillery 19 Jun 1917, admitted hospital 23 Jul 1917, invalided and taken on strength Canadian Artillery Regimental Depot 7 Nov 1917, taken on strength Reserve Brigade Canadian Field Artillery 4 Jan 1918, taken on strength 68th Battery 16th Brigade Canadian Field Artillery North Russia Expeditionary Force 21 Aug 1918, proceeded overseas 20 Sep 1918, arrived Archangel 1 Oct 1918, embarked for the United Kingdom 11 Jun 1919, discharged in England 30 Jul 1919. 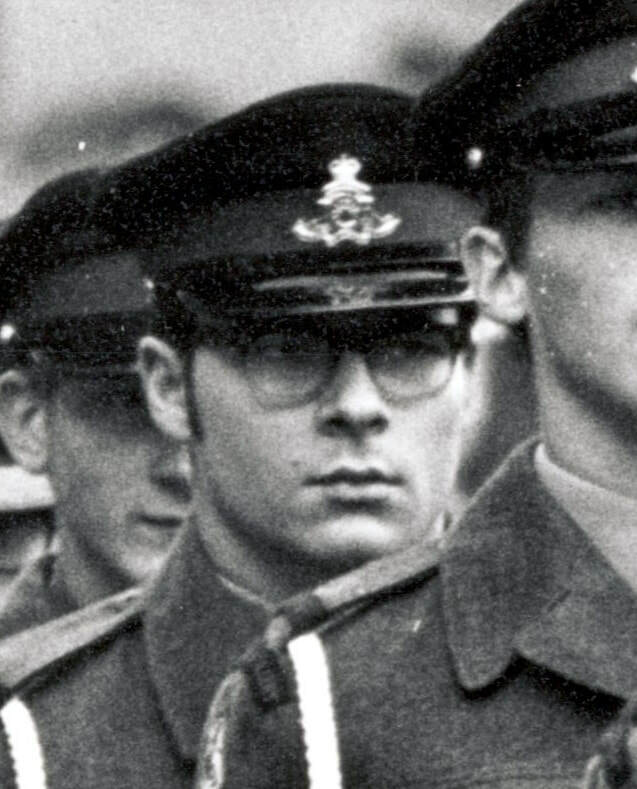 Kelsey, MG; Private in 85 Battery in 1969. Kemp, Horace Henry Howard; Attested 3 Feb 1916, regimental #315887, 47th Battery 10th Brigade Canadian Field Artillery, Driver 11th Battery, embarked Halifax 11 Sep 1916, arrived Liverpool England 22 Sep 1916, posted 54th Battery 15th Brigade Canadian Field Artillery 22 Jan 1917, taken on strength to 3rd Brigade Canadian Field Artillery 20 Mar 1917, taken on strength Regimental Depot 16 Nov 1917, taken on strength Reserve Brigade 5 Apr 1918, taken on strength 68 Battery 16th Brigade 21 Aug 1918, proceeded overseas to North Russia Expeditionary Force 20 Sep 1918, disembarked Archangel 1 Oct 1918, embarked Archangel for United Kingdom 18 Jun 1919, to Canada 5 Jul 1919, discharged 15 Jul 1919. Kempe, Norman Lester; Taken on strength as a Gunner 15th Field Artillery Regiment RCA on 5 Mar 1977, qualified Artilleryman on 25 Aug 1977, promoted Bombardier on 1 Apr 1978, qualified Driver Wheeled on 11 May 1978, released 15 Aug 1979. Kendall, Hugh; Taken on strength as a Gunner in 15th Field Artillery Regiment RCA, Private in 2017, qualified Gunner 2018. Kendall, Percival Henry; Attested 8 May 1916, No 346900, embarked Montreal 14 May 1916, arrived Liverpool 29 May 1916, taken on strength Canadian Depot Siege Artillery 2 Jun 1916, taken on strength 165th siege Battery Canadian Garrison Artillery 7 Jun 1916, proceeded overseas 19 Sep 1916, admitted hospital wounded left leg 16 Oct 1916, taken on strength Regimental Depot 12 Apr 1917, taken on strength 11th Siege Battery 28 Jun 1917, taken on strength 2nd Battery Reserve Brigade 4 Jul 1917, taken on strength 5th Canadian Siege Battery 11 Jul 1917, attached No 20 Ordnance Workshop 18 Aug 1917, rejoined unit 8 Sep 1917, to rest camp 24 Sep 1917, rejoined unit 3 Oct 1917, granted 14 days leave 15 Mar 1918, to No 8 Medical Workshop 20 May 1918, rejoined unit 31 May 1918, gassed and sent to Field Ambulance 19 Jul 1918, rejoined unit 26 Jul 1918, granted 14 days leave UK 8 Jan 1919, embarked for Canada 3 May 1919, disembarked Halifax 9 May 1919, discharged 12 May 1919. Kenmare, Harry; Warrant Officer Class II in 1958, 43rd Medium Anti-Aircraft Regiment RCA in 1958. Kennedy, Andrew N; Gunner in 31 Battery from 1999 to 2000. Kennedy, Gordon Robertson; Taken on strength 31 Battery 15th (Vancouver) Coast Brigade RCA NPAM 6 Aug 1940, assigned regimental number VV9455, assigned new regimental number K415562. Kennedy, James Vincent; Taken on strength 15th Field Regiment RCA on 10 Nov 1955, struck off strength on transfer to Western Command Contingent COTC on 13 Dec 1956, Lieutenant in 158th Battery 15th Field Artillery Regiment RCA in 1962. Kennedy, John Douglas; Taken on strength 31 Battery 15th (Vancouver) Coast Brigade RCA NPAM 30 Aug 1940, assigned regimental number VV9456, assigned new regimental number K415563. Kennedy, John William; Attached to 15 Field Regiment RCA from WCPSU as Sergeant on 18 Jan 1951, ceases attachment from WCPersSU on 30 Apr 1953. ​Kennedy, Murdock A; Attested Canadian Overseas Expeditionary Force 9 Aug 1915, regimental #183, 40th Battalion, arrived England 28 Aug 1915, arrived in France 9 Mar 1916, joined unit 25th Battalion 24 Mar 1916, transferred to 12th Battery 3rd Brigade Canadian Field Artillery 4 Aug 1916, awarded 1 good conduct badge 9 Aug 1917, granted leave to Paris 14 Aug 1917, returned from leave 26 Aug 1917, invalided and posted to Canadian Artillery Regimental Depot 17 Nov 1917, forfeits 2 days pay by RW and 1 day pay for ? for overstaying pass from hospital 11 Apr 1918, taken on strength Reserve Brigade Canadian Field Artillery 3 May 1918, taken on strength Composite Brigade Canadian Reserve Artillery 23 May 1918, taken on strength 68th Battery 16th Brigade Canadian Field Artillery North Russia Expeditionary Force 21 Aug 1918, proceeded overseas 20 Sep 1918, arrived Archangel 1 Oct 1918, awarded Military Medal in recognition of gallant conduct in the field 8 Apr 1919, Driver in "C" Sub Section Apr 1919, embarked for the United Kingdom 11 Jun 1919, to Canada 5 Jul 1919, discharged 18 Jul 1919, deceased 5 Nov 1972 Sydney NS. Kennedy, Nicholas Martin; Taken on strength as a Gunner in 15th Field Artillery Regiment RCA on 2 Feb 1995, qualified General Military Training on 3 Aug 1995, qualified QL3 Artillery on 10 Nov 1995, released on 22 Oct 1996. ​Kennedy, Noell Lewis; Taken on strength as a Gunner 15th Field Artillery Regiment RCA on 23 Jun 1982, transferred to the British Columbia Regiment (DCO) on 1 Oct 1982. Kennelly, Frank J; Lieutenant in 1958, 43rd Medium Anti-Aircraft Regiment RCA in 1958. Kenney, Theodore Victor; Member 3rd Field Battery Montreal, attested 2 Nov 1917, regimental #343154, Gunner 72nd (Queen’s) Battery Canadian Field Artillery, embarked Halifax 3 Feb 1918, disembarked Liverpool England 16 Feb 1918, taken on strength 68 Battery 16th Brigade 7 Sep 1918, proceeded overseas to North Russia Expeditionary Force 20 Sep 1918, arrived Archangel 1 Oct 1918, embarked Archangel for United Kingdom 11 Jun 1919, struck off strength to Canada 5 Jul 1919, discharged 15 Jul 1919, deceased 2 May 1975, buried Mt Royal Cemetery Montreal QC. Kenny, Gregory Allan; Taken on strength as a Gunner in 15th Field Artillery Regiment RCA on 16 Aug 1982, released on 1 Feb 1983. Kenny, Ryan Lee; Taken on strength as a Gunner 15th Field Artillery Regiment RCA on 6 Jul 1982, released 30 sep 1982. Kent, MV; On 1947-1967 list of reunion invitees. Keoughan, Julian; Taken on strength with the Prince Edward Island Heavy Brigade Canadian Garrison Artillery, taken on strength as a Gunner with the No. 5 Siege Battery Canadian Garrison Artillery on 25 Apr 1916, promoted provisional Bombardier 17 Jun 1916, embarked on the S.S. Southland on 26th Sep 1916, unit renamed 8th Siege Battery Canadian Garrison Artillery on 31 Mar 1917, landed in France on 31 Mar 1917, confirmed as Bombardier 10 Jun 1917, to Rest Camp 16 Aug 1917, rejoined unit on 29 Aug 1917, awarded the Military Medal for Bravery in the field on 11 Dec 1917, admitted to hospital Trench Fever on 30 Dec 1917, taken on strength Canadian Artillery Reinforcement Depot on 5 Jan 1918, attached to 2 CCD on 4 Mar 1918, cease attachment on 26 Apr 1918, taken on strength Reserve Battery Canadian Garrison Artillery on 26 Apr 1918, struck off strength to Canada 12 Jan 1919, discharged 22 Mar 1919. Kerlin, Donald Edward; Second Lieutenant from 1940 to 1941, 58th Battery 15th (Vancouver) Coast Brigade RCA NPAM in 1940, 85th Battery 15th (Vancouver) Coast Brigade RCA NPAM in 1941. Kern, Michael Arthur Conrad; Taken on strength as a Gunner 15th Field Artillery Regiment RCA on 24 Feb 1976, released 29 Aug 1976. Kerr, Edmund George; Taken on strength as a fife player in 10th RG fife and drum band for 4 years, attested Canadian Overseas Expeditionary Force 21 Sep 1915, 9th Battery, taken on strength Reserve Brigade Canadian Field Artillery 1 Jan 1916, drafted to France 1 Divisional Artillery Column 5 Jul 1916, posted to 3rd Brigade Canadian Field Artillery 10 Jul 1916, wounded shell wound to face and hands 6 May 1917, rejoined unit 26 Jun 1917, shell wound back and elbow 13 Jul 1917, invalided and posted to Canadian Artillery Reinforcement Depot 8 Aug 1917, attached to 2 CCD 5 Oct 1917, ceases to be attached to 2 CCD 14 Dec 1917, taken on strength Composite Brigade Canadian Reserve Artillery 14 Dec 1917, taken on strength 68 Battery 16 Brigade North Russia Expeditionary Force 21 Aug 1918, proceeded overseas 20 Sep 1918, disembarked Archangel 1 Oct 1918, Gunner in "C" Sub Section, awarded Cross of St George, embarked Archangel for the United Kingdom 11 Jun 1919, to Canada 5 Jul 1919, discharged 15 Jul 1919. Kerr, William Joseph Alphonse; Taken on strength 31 Battery 15th (Vancouver) Coast Brigade RCA NPAM 6 Aug 1940, assigned regimental number VV9457, assigned new regimental number K415564. Kerry, WR; Taken on strength with 158 Battery 15th Field Regiment RCA on 19 Mar 1959. Ketler, Christopher; Transferred to 15th Field Artillery Regiment RCA as a Sergeant in 2016. Ketter, Merlin; Taken on strength 15th Field Regiment RCA on 12 Mar 1957. Khoshkhessal, Yazdi Nooshin; Taken on strength as a Musician in 15th Field Artillery Regiment RCA on 17 Feb 1988, released on 26 May 1989. Khoury, Jerome David; Taken on strength as a Gunner in 15th Field Artillery Regiment RCA on 10 Apr 1986, released on 11 Apr 1986. Kiceluk, JW; Private in 158 Battery in 1969. Kidd, David Harold; Taken on strength as a Gunner in 15th Field Artillery Regiment RCA on 19 May 1994, qualified General Military Training on 27 Aug 1994, released on 2 Nov 1995. Kidd, Keith H; Lieutenant in 1958, 43rd Medium Anti-Aircraft Regiment RCA in 1958. ​Kidd, William Peter; Taken on strength as a Gunner in 15th Field Artillery Regiment RCA on 11 Jul 1983, qualified General Military Training on 19 Aug 1983, qualified TQ1 Basic Artilleryman on 20 Sep 1983, promoted Bombardier on 11 Jul 1984, qualified TQ2 Communications on 20 Jul 1984, qualified TQ2 Basic Artillery Technician on 10 Aug 1989, qualified Driver Non-Trade on 1 Jan 1984, transferred to Regular Force on 26 Jan 1985. Kiernan, Lance Rolf; Taken on strength as a Gunner in 15th Field Artillery Regiment RCA on 15 Feb 1977, qualified General Military Training on 18 Jun 1977, qualified TQ1 Basic Artilleryman on 25 Aug 1977, promoted Bombardier on 17 Mar 1978, qualified TQ2 Artillery Driver on 13 Jun 1978, released on 2 Mar 1979, re-enroled on 1 Sep 1980, transferred to Supplementary List on 1 Mar 1982, transferred to 15th Field Artillery Regiment RCA on 1 Mar 1983, qualified Junior NCO Course on 30 Jun 1983, released on 20 Dec 1983. 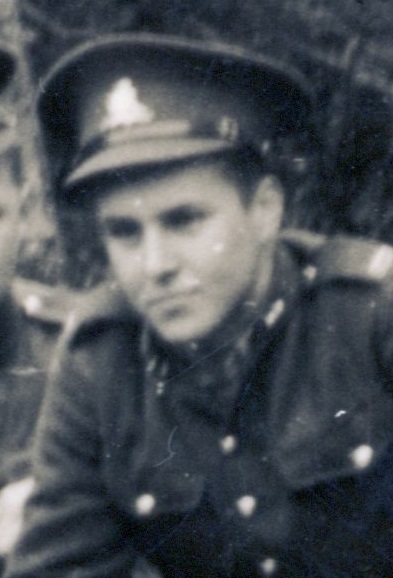 Kildare, David Norton; Taken on strength 15th Field Regiment RCA on 25 Oct 1954 with former service Canadian Army (Reserve Force), struck off strength on release on 17 Feb 1955. Kilian, Walter G; Bombardier in the Regimental Band from 1986 to 1990, 31 Battery in 1992. Kiloh, David Bruce; Taken on strength as a Gunner in 15th Field Artillery Regiment RCA on 15 Jan 1976, promoted Acting Lieutenant on 15 Apr 1976, released 26 Dec 1976. Kim, Hyung Daniel; Taken on strength as a Gunner in 15th Field Artillery Regiment RCA on 15 Apr 2004. Kim, Min Kwoun; Taken on strength as a Gunner in 15th Field Artillery Regiment RCA, Bombardier from 2014 to 2017. Kim, Minwoo; Taken on strength as a Gunner in 15th Field Artillery Regiment RCA, Bombardier in 2017. ​Kim, Paul Hyun Joo; Taken on strength as a Gunner in 15th Field Artillery Regiment RCA on 11 Jun 1988, qualified General Military Training on 27 Aug 1988, qualified QL1 Artilleryman on 30 Dec 1988, qualified Forward Observation Officer Technician on 11 Aug 1989, qualified Artillery Recce Technician on 11 May 1990, qualified FMC Driver Wheeled on 15 Jun 1990, promoted Bombardier on 11 Jun 1990, qualified BTT Finance on 3 Aug 1990, qualified BTT Supply Technician on 23 Aug 1990, qualified QL3 BTT Infantry on 9 Aug 1991, transferred to Seaforth Highlanders of Canada on 1 Nov 1991. ​Kincaid, Norman Kent; Taken on strength 15th Field Regiment RCA on 11 Apr 1957 with former service Canadian Army (A), Sergeant listed on the Warrant Officers and Sergeant’s Mess gong. King, Ernest John; Taken on strength 31 Battery 15th (Vancouver) Coast Brigade RCA NPAM 6 Aug 1940, assigned regimental number VV9458, appointed Acting Sergeant 15 Sep 1940, assigned new regimental number K415505. ​King, HB; Lieutenant in 85th Battery 15th Field Brigade Canadian Artillery in 1928, Lieutenant from 1930 to 1939, in the Corps Reserve of Officers in 1939. King, James Wesley; Attested Canadian Overseas Expeditionary Force 29 Jan 1916, regimental #663311, No. 2 Overseas A.S.C. Training Depot, embarked St John NB 22 Jan 1918, arrived England 6 Feb 1918, taken on strength Reserve Brigade Canadian Field Artillery 1 Apr 1918, taken on strength 68th Battery 16th Brigade Canadian Field Artillery North Russia Expeditionary Force 8 Sep 1918, proceeded overseas 20 Sep 1918, arrived Archangel 1 Oct 1918, embarked for the United Kingdom 18 Jun 1919, to Canada 5 Jul 1919, discharged 15 Jul 1919. ​King, Maurice Robert; Taken on strength as a Gunner in 15th Field Artillery Regiment RCA with former service on 17 Nov 1988, qualified General Military Training, qualified Artillery Basic Trades Training on 21 Aug 1990, released on 13 Feb 1991. Kingshott, Ronald Henry; Gunner in 15th Field Regiment RCA in 1949, appointed Acting Bombardier on 2 May 1949, appointed Acting Sergeant on 1 Jun 1949, confirmed Sergeant on 16 Feb 1950, struck off strength on transfer to 102nd Coast Regiment RCA on 16 Mar 1950. Kinney, Catherine Joyce; Taken on strength 15th Field Artillery Regiment RCA on 4 Jul 1977, released 2 Aug 1977. ​Kinninmont, James Russell Adamson; Taken on strength 31 Battery 15th (Vancouver) Coast Brigade RCA NPAM 6 Aug 1940, assigned regimental number VV9459, assigned new regimental number K415565. 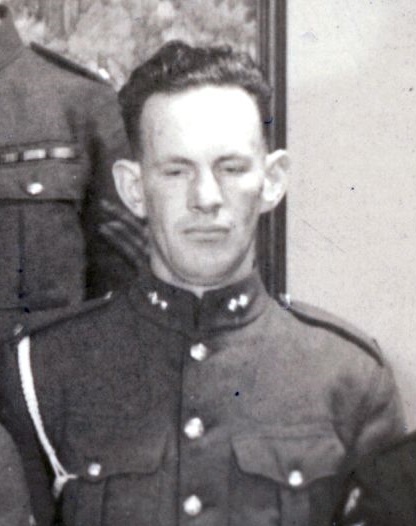 Kirby, William John Cameron; Taken on strength as a Second Lieutenant in 15th (Vancouver) Coast Brigade RCA NPAM on 7 Aug 1940, attended Physical Training course in 1941. 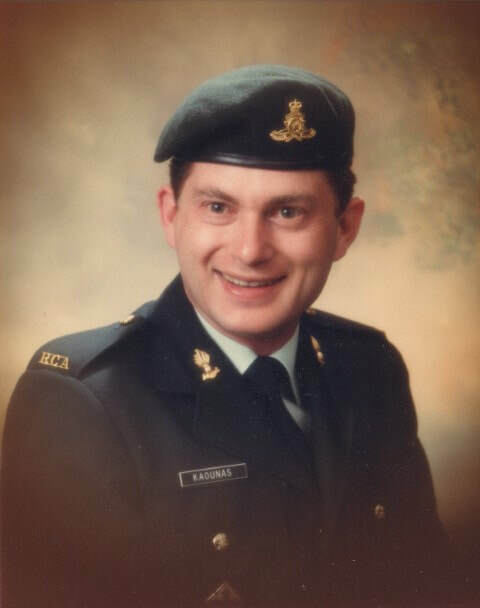 Kirchoffer, Richard Aaron; Taken on strength as a Musician in HMCS Discovery on 9 Apr 1992, transferred to 15th Field Artillery Regiment RCA on 10 Dec 1992, released on 12 Oct 1995. Kirk-Owen, Ernest Peter; Taken on strength 31 Battery 15th (Vancouver) Coast Brigade RCA NPAM 6 Aug 1940, assigned regimental number VV9460, assigned new regimental number K415566. Kirkpatrick, William Andrew; Sergeant in 15th Field Brigade RCA in 1937, taken on strength with 15th Coast Regiment RCA on 10 Oct 1946, promoted Sergeant in 15th Coast Regiment RCA on 7 Nov 1946, appointed Acting Battery Quarter Master Sergeant on 1 Apr 1947, Staff Sergeant in 1948, reverted to Sergeant on 31 May 1949, struck off strength on 24 Nov 1949. ​Kirkpatrick-Crockett, M; Major in 15th (Coast) Brigade RCA CA in 1942. Kirstiuk, Julian; Captain from 1958 to 192, 43rd Medium Anti-Aircraft Regiment RCA in 1958, 85th Battery 15th Field Artillery Regiment RCA in 1962. ​Kitching, Bob; Gunner in 85th Heavy Battery 15th (Vancouver) Coast Brigade RCA on Yorke Island. Kitching, Charlie K; Gunner in 85th Heavy Battery 15th (Vancouver) Coast Brigade RCA on Yorke Island, appointed Acting Sergeant on 23 Sep 1948, confirmed Sergeant on 1 Feb 1949, appointed Acting Staff Sergeant on 3 Nov 1949, appointed Acting Warrant Officer Class II on 22 Jun 1950, struck off strength enlisted Canadian Army (Active Force) on 6 May 1951. Klassen, Suzanne Marie; Taken on strength as a Gunner in 15th Field Artillery Regiment RCA on 15 Dec 1992, released on 22 Jun 1994. Klein, Tricia Leigh; Taken on strength as a Gunner in 15th Field Artillery Regiment RCA on 26 Sep 1998, released on 24 Aug 2000. Klemm, Richard George; Taken on strength as a Musician in 15th Field Artillery Regiment RCA with former service on 18 May 1986, qualified TQ1 Musician on 31 Jul 1986, released on 30 Nov 1987. Klingbeil, Maryanne; Taken on strength in 15th Field Artillery Regiment RCA on 2 Jul 1974, released 25 Aug 1974. Kluftinger, Stefan; Taken on strength as a Musician in 15th Field Artillery Regiment RCA on 27 Jun 1984, qualified General Military Training on 17 Aug 1984, qualified TQ1 Musician on 17 Aug 1984, promoted Bombardier on 27 Jun 1985, released on 27 Aug 1985. Knapman, Douglas Richard; Taken on strength in 17 Service Battalion on 6 Apr 1982, transferred to 15th Field Artillery Regiment RCA on 1 Feb 1983, released on 19 Feb 1983. ​Knerle; Sergeant in 15th Field Brigade RCA in 1937. ​Knight, Algernon Edward Grenfell; ​Attested into 102nd Regiment (Rocky Mountain Rangers) Canadian Overseas Expeditionary Force 26 May 1915, assigned regimental number 442114, transferred to 54th Battalion, Corporal 12 Jun 1915, appointed Lance Sergeant 13 Jun 1915, appointed Corporal 1 Jul 1915, embarked Montreal 16 Jul 1915, disembarked Plymouth 30 Jul 1915, reverted to ranks 12 Aug 1915, discharged on appointment to commission in Royal Field Artillery 24 Sep 1915, to be Temporary Lieutenant Canadian Field Artillery 27 Mar 1918, posted to 31 Battery 10th Brigade Canadian Field Artillery 5 Oct 1918, posted 9th Brigade Canadian Field Artillery 10 Oct 1918, sailed for Canada 15 Mar 1919, demobilized 12 Apr 1919, deceased 23 Feb 1932 Canoe BC. Knight, Arthur Anatole; ​Attached FAP 15th Field Regiment RCA as Lieutenant on 23 Apr 1953 from Supplementary Reserve (RCAPC), cancel attached fap from Supplementary Reserve (RCAPC) on 15 Jun 1955. ​Knight, Johnny F; Gunner in 85th Heavy Battery 15th (Vancouver) Coast Brigade RCA on Yorke Island in Aug 1939. 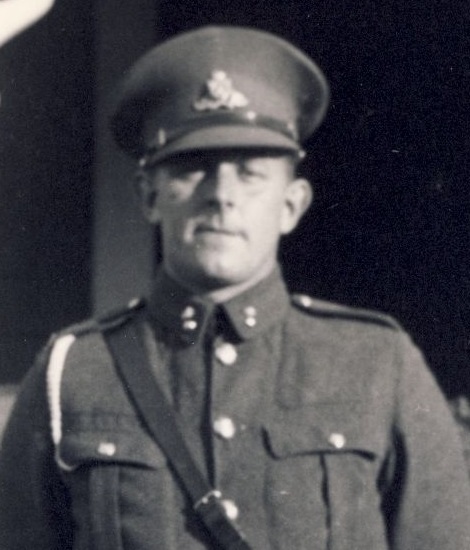 Knight, Laurence Gilbert; Taken on strength as a Gunner with 85th Battery 15th (Vancouver) Coast Brigade RCA NPAM, assigned regimental number V10429, on Advance Party 14 Sep 1940, appointed Cook 15 Sep 1940, assigned new regimental number K417538, taken on strength 15th (Vancouver) Coast Brigade RCA CASF 31 Oct 1940, taken on strength from General List 31 Battery 15th Coast Regiment RCA on 1 Apr 1946 as Lieutenant, promoted Captain on 10 Apr 1947, Captain in 85 Battery in 1948, struck off strength to the Supplementary Reserve of Officers on 30 Sep 1948. Knoesel, Larry Robert; Taken on strength 15th Field Artillery Regiment RCA on 4 Jul 1977, released 15 Sep 1977. Knopp, Gustav Charles; Taken on strength as a Gunner in 15th Field Artillery Regiment RCA on 18 Jan 1996, released on 23 Oct 1996. Knowles, Earl Adolphus; Enrolled US Army as Cook under the name of Parker Lewis 24 Jul 1917, deserted 26 Jul 1917, attested Canadian Overseas Expeditionary Force 23 Feb 1918, regimental #334695, 63rd Overseas Depot Battery Canadian Field Artillery, embarked Halifax 9 Apr 1918, arrived Liverpool England 20 Apr 1918, taken on strength Reserve Brigade Canadian Field Artillery 20 Apr 1918, attended cookery school 12 Aug 1918, taken on strength 68th Battery 16th Brigade Canadian Field Artillery North Russia Expeditionary Force 17 Sep 1918, proceeded overseas 20 Sep 1918, arrived Archangel 1 Oct 1918, forfeits 14 days pay for drunkenness 25 May 1919, Gunner in "C" Sub Section Apr 1919, embarked for the United Kingdom 11 Jun 1919, to Canada 5 Jul 1919, discharged 18 Jul 1919, deceased Nov 1943. 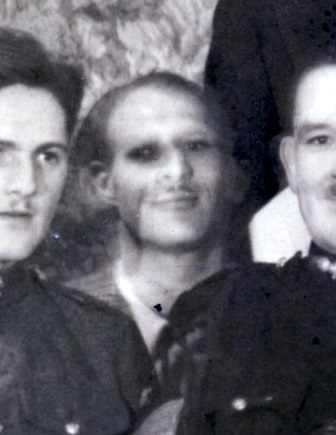 Knudsen, Arne; Served in the Danish Navy in 1936, served with the International Brigade from 1936 to 1938, Taken on Strength in 31 Battery 15th Coast Brigade RCA in 1939, Sergeant in 1940, transferred to 111th Battery, 7th Anti-Tank Regiment RCA, Italy Campaign 1943, European theatre in 1944, deceased 7 March 2007. Knudsen (Knudson), William Egnar; Taken on strength 15th Field Regiment RCA on 6 May 1957, struck off strength on release on 1 Aug 1957. Kobzey, RSB; Acting Sergeant in 15th Field Artillery Regiment RCA in 1968, winner of RCAA Special to Corps Senior NCO Competition in 1968. Koch, Sean Alexander; Taken on strength as a Gunner in 15th Field Artillery Regiment RCA on 9 Apr 1998, qualified QL2 General Military Training on 16 May 1999, released on 14 Sep 2000. Koelt, GH; Private in 85 Battery in 1969. Kofoed, Anders John Wesley Bodtker; Taken on strength as a Gunner in 15th Field Regiment RCA on 28 Oct 1948, struck off strength on 9 Mar 1950. Kolesnykor, Vladyslar; Taken on strength as a Gunner in 15th Field Artillery Regiment RCA on 27 Jun 2002. Kong, BX; Bombardier in 2014. 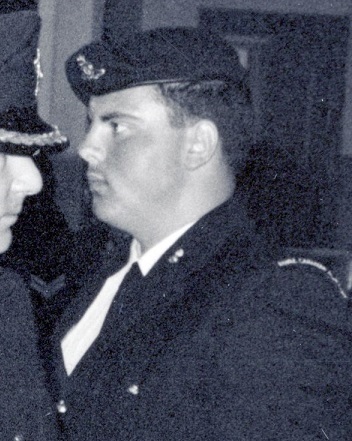 Koprowski, Eric Bogdan; Taken on strength as a Gunner in 15th Field Artillery Regiment RCA on 25 May 1985, qualified General Military Training on 9 Aug 1985, released on 30 Mar 1986. Korn, Leslie Anthony; Taken on strength as a Gunner 15th Field Artillery Regiment RCA on 4 Jul 1977, released 4 Aug 1978. Kornder, ID; Medical Officer from 1969 to 1976, Acting Captain in 1969, Captain in 1969. ​Kostinuk, Darren Craven; Taken on strength as a Gunner in 15th Field Artillery Regiment RCA on 22 Mar 1983, qualified General Military Training on 26 May 1984, qualified QL3 Basic Artilleryman on 4 Aug 1984, promoted Bombardier on 1 Feb 1985, qualified QL3 Motor Support Equipment Operator on 6 Jan 1985, released on 31 Jan 1994. Kostinuk, John William Craven; Taken on strength on enrolment on 14 Mar 1957, struck off strength on release on 1 Aug 1958, Drummer in Band of the 15th Field Artillery Regiment RCA in 1962, deceased 19 Feb 2018. Kostinuk, John; taken on strength with 1st Searchlight Regiment RCA in 1939, transferred to the 108th (Howitzer) Battery in Lethbridge in 1939, concentrated in Camp Shilo with remainder 2nd Anti-Tank Regiment RCA in 1940, arrived in England and adopted anti-invasion role in 1940, promoted Lance Bombardier in 1942, appointed Acting Bombardier in 1943, transferred to 1st Canadian General Reinforcing Unit as Private Driver Mechanic 'C', transferred to 2nd Provost Company, promoted Lance Corporal. Kostuk, Patty A; Sergeant in the Regimental Band. 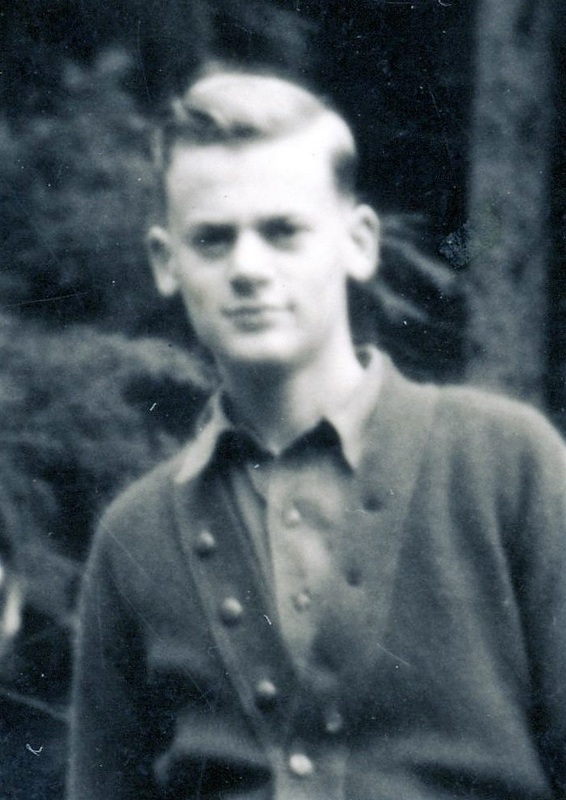 Kothlow, Kenneth William; Taken on strength as a Gunner in 15th Field Regiment RCA on 17 Jun 1948, taken off strength on transfer to Canadian Army Regular Force. Kouveletsos, Aristides; Taken on strength as a Gunner in 15th Field Artillery Regiment RCA on 17 Dec 1983, released on 21 May 1984. Kovacs, Ernie; Taken on strength as a Gunner in 15th Field Artillery Regiment RCA on 28 Nov 1974, qualified General Military Training on 19 Dec 1974, qualified Basic Artilleryman on 4 Jan 1975, qualified Artillery Technician on 1 Aug 1975, promoted Bombardier on 1 Apr 1976, operational tour with United Nations Emergency Force Middle East from Jul 1976 to Jan 1977, qualified TQ2 Driver Wheeled on 3 Jun 1978, qualified Combat Leaders Course on 9 Aug 1986, promoted Master Bombardier on 1 Dec 1986, transferred to Headquarters Pacific Militia Area as an Intelligence Operator on 9 Sep 1989, transferred to Supplementary Ready Reserve in 1991. Kozlowski, MA; Private in 31 Battery in 1986. Kozlowski, Mark Andrew; Taken on strength as a Gunner 15th Field Artillery Regiment RCA on 18 Mar 1976, employed GAMESCAN from 22 Aug 1976 to 16 Jun 1976, qualified Artilleryman on 8 Jan 1977, released 28 Apr 1977. Kraemer, Sonya; Taken on strength as an Administrative Clerk in 12 Service Battalion on 5 Jul 1976, transferred to headquarters Militia Area Pacific on 2 Aug 1976, qualified Administrative Clerk on 15 Apr 1977, promoted Corporal on 1 Aug 1977, transferred to 15th Field Artillery Regiment RCA on 1 Nov 1978, qualified Finance Clerk on 22 Aug 1980, transferred to Supplementary List on 22 Aug 1980. Kraemer, Wolfgang Heinrich; Taken on strength 15th Field Regiment RCA on 30 Oct 1958. Kraft, Ralph David; Re-enroled as a Lieutenant in 15th Field Artillery Regiment RCA on 14 Nov 1987, qualified General Military Training, Junior Leaders Course, Senior NCO Course, Basic Trades Training, STT, Intermediate Trades Training , Basic Officer Training, Basic Army Officer Training and Basic Classification Training Artillery, released on 25 Feb 1988. 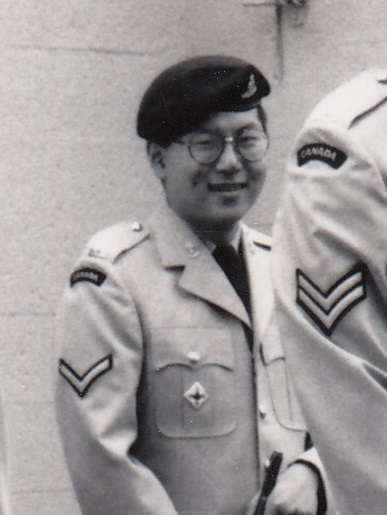 Krahn, Christopher Taiho; Taken on strength as a Musician in 5th (BC) Field Regiment RCA, transferred to 15th Field Artillery Regiment RCA on 25 Jan 1990, released on 15 Jan 1991. Kramer, Oswin R; ​Taken on strength as a Gunner in 15th Field Artillery Regiment RCA, Private in 2017. 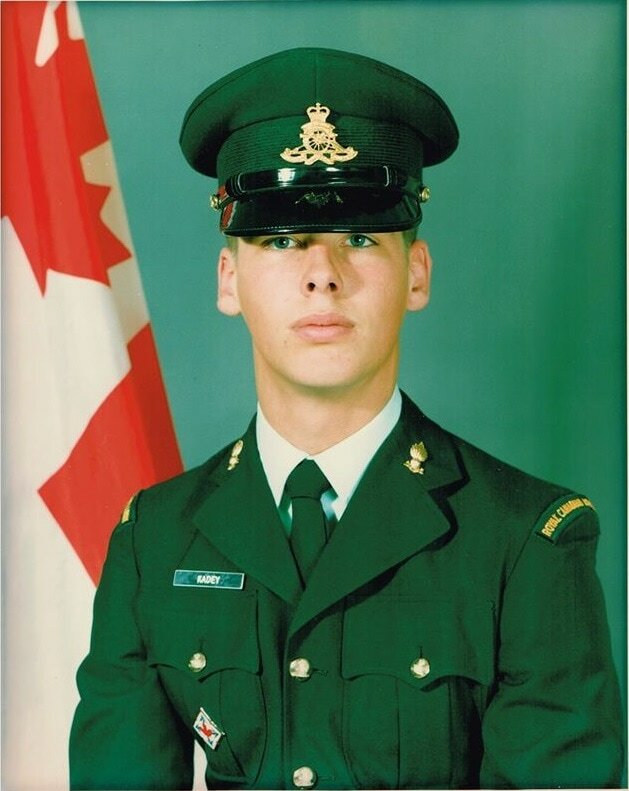 Kroeker, James A; Taken on strength as a Gunner in 15th Field Artillery Regiment RCA on 20 Oct 1983, qualified General Military Training on 26 May 1984, qualified TQ1 Artilleryman on 4 Aug 1984, promoted Bombardier on 9 Feb 1984, released on 7 Feb 1988. 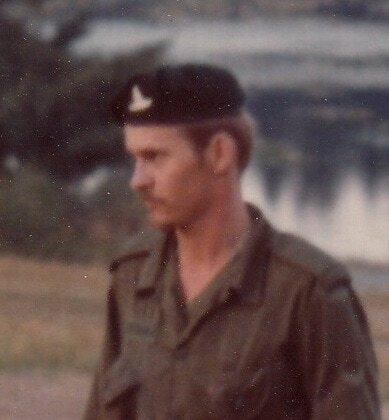 Kroeker, Loren Dale; Taken on strength as a Cook in 15th Field Artillery Regiment RCA on 22 May 1986, qualified General Military Training on 14 Jun 1986, qualified TQ1 Cook Course on 18 Jul 1986, released on 15 Aug 1986. Kubacki, Christopher W; Private in 31 Battery in 1986. Kuhn, Daniel S; Transferred to BC Militia District Heaquarters from 49th Field Artillery Regiment RCA, Transferred to 15th Field Artillery Regiment RCA, Second in Command 2001 to 2004, Lieutenant-Colonel and Commanding Officer from 2004 to 2007, Deputy Commander 39 Canadian Brigade Group from 2008. 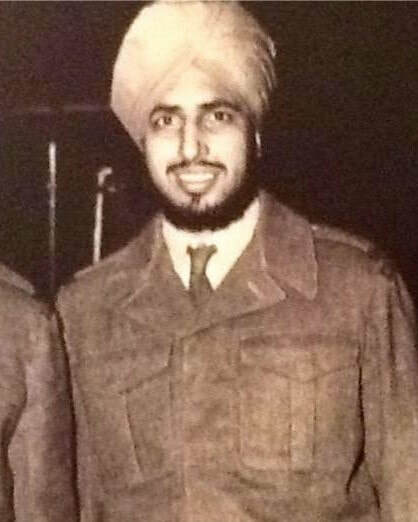 Kullar, Hardial Singh; Member of 102nd Coast Regiment RCA in 1954, deceased 1968. Kung, EJ; Taken on strength 15th (Vancouver) Coast Brigade RCA, appointed Acting Sergeant. Kung, Him Fong (John); ​Taken on strength as a Gunner in 15th Field Artillery Regiment RCA on 12 Jun 1975, qualified General Military Training on 31 Aug 1975, released on 1 Feb 1976. 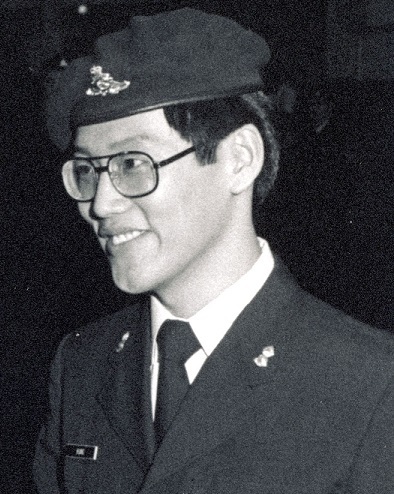 Kung, Leo HY; Second Lieutenant in 1976, Lieutenant in 1978, Captain from 1978 to 1984. ​Kurtagic, Goran; Taken on strength as a Gunner in 15th Field Artillery Regiment RCA on 1 Apr 1999, qualification Level 2 on 26 Jul 1999, qualified QL3 Artillery on 20 Aug 1999, operational tour with SFOR in 2000, qualified Basic Artillery Technician on 17 Aug 2001, promoted Bombardier on 8 Sep 2001, qualified Driver Wheeled on 10 Feb 2000, Master Bombardier 2005, awarded Most Efficient Bombardier of the Year 2006, awarded Most Proficient Detachment Commander of the Year in 2007 and 2008, Operational tour in Afghanistan, Sergeant in 2009, Warrant Officer in 2016. Kurylowicz, Dyane; Taken on strength as an Administrative Clerk in 15th Field Artillery Regiment RCA on 9 Aug 1985, qualified TQ1 Administrative Clerk on 10 Oct 1985, promoted Corporal on 13 Oct 1985, qualified TQ2 Administrative Clerk on 20 Mar 1986, qualified Driver Non-Trade on 30 Dec 1985, transferred to Royal Westminster Regiment on 1 Jun 1987. Kushnir, EJ; Private in 31 Battery in 1986. 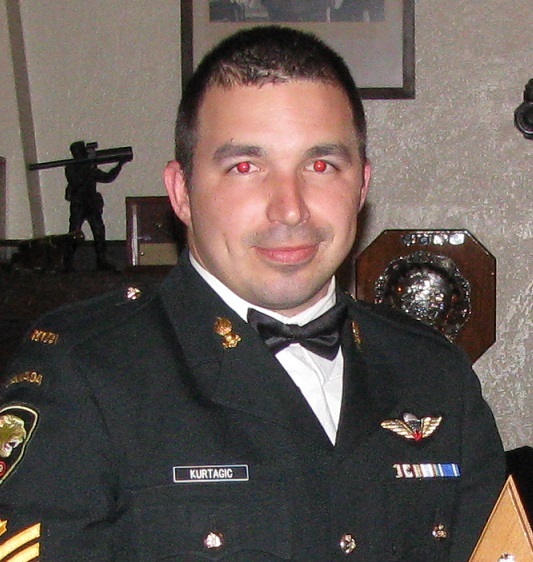 Kuzyk, Matthew Gary William; Taken on strength as a Gunner in 15th Field Artillery Regiment RCA on 20 Feb 2003, qualified Basic Military Qualification on 1 Aug 2003, qualified Soldiers Qualification on 28 Aug 2003. Kwai, Abraham Gock; Taken on strength as a Gunner in 15th Field Artillery Regiment RCA on 2 Jul 1984, qualified General Military Training on 10 Aug 1984, released on 22 Sep 1984. Kwan, Keon Joe; Taken on strength as a Gunner in 15th Field Artillery Regiment RCA on 7 Oct 1982, qualified General Military Training on 31 Dec 1983, released on 8 Mar 1983. Kwan, Tommy Wai Sing; Taken on strength as a Gunner in 15th Field Artillery Regiment RCA on 7 Jul 1975, qualified Artilleryman on 11 Jan 1976, promoted Bombardier on 1 Feb 1977, qualified Basic Artillery Technician on 1 Jul 1977, released 19 May 1978. Kwantes, Jacobus Albert; Taken on strength as a Gunner in 15th Field Artillery Regiment RCA on 6 Dec 1990, released 1 Mar 1992. Kwok, Michael Tai-Kee; Taken on strength 15th Field Artillery Regiment RCA on 7 Jul 1980, released 31 Aug 1980. ﻿​Have I inadvertently placed personal information of yours on line that you don't approve of?